Whether it’s Al Shabaab, Burundi, or Zanzibar, a handful of regional issues are lining up to undermine East Africa’s stability and offset the most ambitious series of integrational projects in the continent’s history. The five-nation East African Community (EAC) of Kenya, Uganda, Rwanda, Burundi, and Tanzania plans to transition into a formal federation sometime in the near future, catapulting its significance from a regional to a global actor. The integrational bloc is betting that its East African Railway Master Plan, partially financed and constructed by China, will not only do wonders for its own economic cohesiveness, but will stimulate broader sub-Saharan cooperation. The vision is that this strategic blueprint will link the prospective East African Federation (EAF) together with Ethiopia, South Sudan, and the Democratic Republic of the Congo (DRC), with the ultimate goal being to bridge Africa’s transoceanic divide by connecting to the Atlantic Ocean via the Congo River and the modernization and expansion of existing railway infrastructure in Zambia and Angola. This enterprising and unprecedented endeavor is not without its fair share of risks, however, since the problems of Al Shabaab, Burundi, and Zanzibar might endanger the federalized integration of the EAC. Without the emergence of a coordinated geopolitical core to manage the region’s strategic infrastructural potential, China’s investments in East Africa might disappointingly fail in their forecasted multipolar function and never become anything more significant than a few scraps of steel. The EAC plans to follow in the footsteps of other regional integrational organizations such as the EU, Eurasian Union, and ASEAN by tightening the relations between its members and formally becoming a factor in world politics. If it succeeds in forming a federation, then the newly consolidated unit would have enormous economic and geopolitical promise simply by means of its expanding population and favorable location alone. …the new zone was formally established in June 2015, comprising 26 nations, with a combined population of 632 million people, or 57 percent of Africa’s population. Altogether, the TFTA bloc has a combined GDP of US$ 1.3 trillion, representing 58 percent of Africa’s total GDP. The vast size of the area represented – about 17 million square kilometers – is roughly equal to that of Russia, making it one of the largest free-trade zones in the world, forming an unbroken corridor from Cairo to Cape Town. In all obviousness, the EAF’s centrally positioned location within this framework would make it the pivot state for the entire TFTA and allow it to control trade in either direction. The EAF wouldn’t just be the gatekeeper of North-South trade within Africa, but of East-West trade between its Indian and Atlantic Ocean coasts as well, thus turning it into the continent’s most strategic geopolitical actor. Whereas the TFTA is essentially the 21st-century institutional iteration of the British Empire’s unfulfilled Cape to Cairo Railway, China’s transoceanic Silk Road vision for Africa is entirely unprecedented. The foundational concept exists in the East African Railway Master Plan, after which it is expanded via riparian and rail innovations in order to reach the Atlantic. Kenya and Tanzania serve as the terminal starting points for this strategy, with the former’s infrastructure largely having to be built while the latter’s simply needs to be revitalized and slightly expanded. Kenya’s Lamu Port-South Sudan-Ethiopia Transport (LAPSSET) Corridor aims to connect the three countries and give the two landlocked ones reliable access to the sea, complementing and possibly even sone day connecting with the other Chinese-financed and –constructed one running from Djibouti to Addis Ababa. Moreover, LAPSSET isn’t only about rail, since both South Sudan and Uganda are exploring options for connecting oil pipelines to the route. The second Kenyan Silk Road connection is the Standard Gauge Railway (SGR) that’s anticipated to run from Mombasa to the Ugandan capital of Kampala before breaking into two other lines that go to Kisangani in the DRC and to the Rwandan and Burundian capitals of Kigali and Bujumbura, respectively. The SGR is the most directly pertinent of the two projects to the EAC/EAF’s integrational goals, and it already naturally connects to Tanzania via existing railways between the two countries. 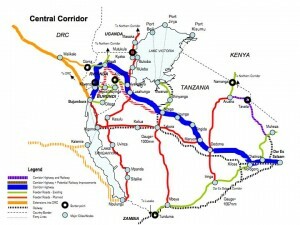 Tanzania’s application of the Railway Master Plan visualizes a Central Corridorthat would expand off of already-constructed rail routes inside the country and link the capital of Dar es Salaam withBurundi and Rwanda, the second of which would serve as a junction in connecting the Tanzanian and Kenyan projects into a full loop. There was earlier talk that Uganda might reprioritize its rail plans and try to link up with its comparatively larger export market in South Sudan instead of focusing on Rwanda, so if that turns out to be the case, then Tanzania would be the sole provider of Rwanda and Burundi’s railway maritime access route. Consequently, Tanzania would come to trump Kenya’s influence over these states in any forthcoming federation, thus tacitly leading to the development of intra-organizational spheres of influence between the two states. Both the Kenyan- and Tanzanian-originated projects have the potential to connect to the Atlantic and spearhead Africa’s first-ever transoceanic mainland corridors. The SGR could utilize Kisangani’s port access on the Congo River to connect the city downstream to the DRC capital of Kinshasa, where afterwards it would only need to make a short rail trip to Matadi in reaching the Atlantic (the Congo’s rapids are unpassable between these two points). The intermodal transportation necessary to connect the two ocean coasts (rail-boat-rail) isn’t logistically efficient and is only attractive because it provides access to the DRC’s huge labor and resource pools, but the prospective transoceanic route between Tanzania and Angola is much more alluring because of its relatively simpler feasibility. Tanzania’s Dar es Salaam capital port is already connected to the copper-rich transit country of Zambia via the Chinese constructed TAZARA railroad from the 1970s, and from there it also has access to the DRC’s mineral-rich southeastern province of Katanga. On the Atlantic side of things, China just recently completed its $1.9 billion investment in rebuilding Angola’s Benguela railroad and reconnecting the port of Lobito to the DRC-bordering town of Luau. This rail route was rendered inoperable ever since the Angolan Civil War of the 1970s, but now that it’s back in action, all that it needs to happen for transoceanic rail access to become a reality is for the Dilolo-Kolwezi-Lubumbashi line in the DRC to be modernized and/or for Zambia to complete its North West Railroad project (financed in part by a $500 million loan from BRICS-member South Africa). This terrorist group operates in close proximity to Kenya’s Lamu port and could attack LAPSSET’s workers and infrastructure in the Somali-populated areas. Rwanda is accused of providing insurgent training to refugees so that they can overthrow the Burundian President, and it also wants the African Union to invade the country. Tanzania has backed off from its former pro-invasion rhetoric and is in favor of a domestic political solution. The Burundian Crisis has damaged the EAC/EAF’s erstwhile strategic unity and exposed large divisions between its members. The October 2015 elections in Tanzania’s semi-autonomous archipelago wererendered invalid after purported irregularities and will held once more on 20 March. 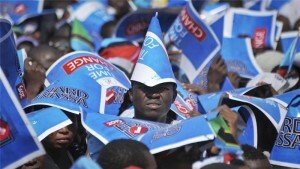 The opposition is campaigning for full autonomy so that they can receive all the potential profits from Tanzania’srecently discovered and copious offshore oil and gas reserves adjacent to its territory, so if they win and carry through on their threat, then it would unquestionably lead to a constitutional crisis that might eventually evolve into a full-blown secessionist one. Although numerically small, the native people that inhabit this contiguous swath of Kenyan and Tanzanian coastland have a unique cultural identity and history from their hinterland counterparts. If this feeling of separateness continues to prevail and become irreparable (punctuated by some already existing religious differences), then organizations such as the secessionist Mombasa Republican Council and the terrorist Uamsho Group might acquire new followers and feel more emboldened in their actions. The Burundian Crisis was precipitated by an electoral one, and with controversial leadership votes being scheduled for Uganda and the DRC later this year and in Rwanda the next, it’s possible that any of these could descend into an “African Spring” Burundi-like Hybrid War. Activists in Zambia’s traditional western and Angola-bordering region of Barotseland has been more assertive in their autonomy and secessionist claims these past few years, and this could potentially lead to a conflict that would one day delay or suspend the North West Railroad project. There’s no doubt that China is placing a heightened strategic focus on Africa, as can be evidenced by President Xi’s $60 billion commitment to the continent that he announced in December 2015. 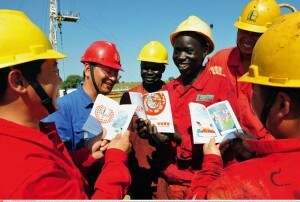 China’ssecond policy paper on Africa, released at the same time, confirms the seriousness with which Beijing is taking its relations in this sphere, intending to develop its established bilateral and multilateral ties to a full-spectrum strategic partnership. China’s interests in Africa aren’t solely altruistic, however, since the East Asian giant urgently needs to build up and access new markets in order to sustain its domestic growth. Seen in this light, the transoceanic African Silk Roads that it’s constructing are crucial pieces in this larger geo-economic game, albeit ones that are susceptible to various geopolitical dangers that can be triggered by the US and its intelligence, information, and NGO networks. The recent rumors about a forthcoming regime change operation in Malawi are a perfect case in point, as they indicate how the US is actively working to undermine African governments in order to gain a relative geopolitical gain against China. It might even be that Washington wants to turn Malawi into the ‘next Burundi’ in order to complicate the socio-humanitarian situation on both sides of the Tanzanian-Zambian border and attack the existing TAZARA and prospective Tanzania-Zambia-Angola railroads via asymmetrical means, perhaps via a destabilizing overflow of refugees and/or the potential infiltration of armed militants into this transnational transit corridor. This is but one example of the many scenarios that the US is planning as a means to subvert China’s transoceanic projects, and all developments in the bicoastal and Central African space must be seen through the prism of the US’ anti-Silk Road Hybrid War strategy. Be it Al Shabaab terrorism in northeastern Kenya or a Color Revolution in the Congo, every ongoing and forecasted event of major importance in the outlined area is absolutely linked to the New Cold War that the US is waging against China, with Africa’s future as a unipolar neo-imperial colony or a multipolar center of influence hanging in the balance.